The RAD Lab » Postdoc position available. 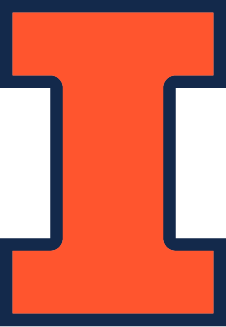 The Robotics, Automation, and Dance (RAD) Lab at the University of Illinois at Urbana-Champaign has an open post doctoral research position. The successful applicant will perform research on platform-invariant, embodied motion primitives, particularly in the context of teleoperation. Candidates who also have a background in movement (sports, dance, etc.) and/or the arts (music, dance, etc.) are particularly of interest. The position start date is flexible, expected roughly between August 2017 and January 2018. The RAD Lab was established in 2013 as an interdisciplinary research group bridging the areas of control, HRI, and dance. Our group creates sequencing and modulation schemes for motion primitive libraries. In order to do this, we study human strategies for the design of movement (choreography) and human bodies in motion expressing ideas (dance) in addition to technical topics in robotics. The successful applicant will interface with several projects in the lab but will be focused on extending an initial method for complex motion specification to teleoperation of a wide array of platform morphologies, particularly those in the context of national defense, for user studies in virtual reality. Interested parties should email their resume and a paragraph or two about their research interests and experience to alaviers@illinois.edu with “[postdoc application]” included at the beginning of their subject line.